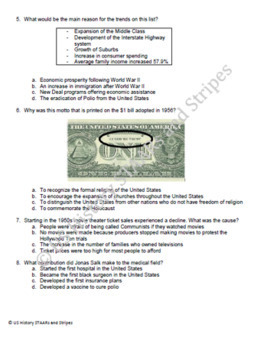 This is a 15 question standards-based quiz. 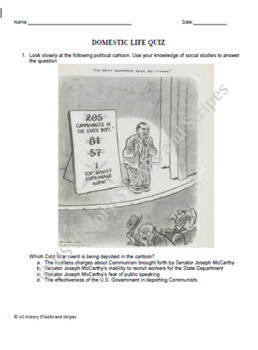 Many questions use primary sources and skills practice such as: political cartoons, photographs, excerpts, diagrams and maps. 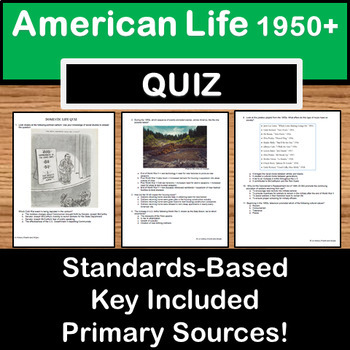 This quiz focuses on Domestic Life in America during the Cold War. 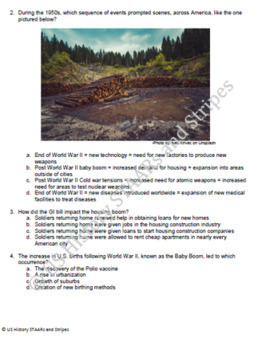 This quiz does not deal with Civil Rights or Foreign Affairs - those topics are in separate quizzes.